Edward’s love of real estate began in 1975 after purchasing his first revenue property at the tender age of 25. After successful careers in education, sales and marketing and in the financial industry, he finally turned real estate into his main career in 1990 in a resort area on the west coast of Canada. Since then Edward has sold hundreds of millions of dollars of real estate winning every major award RE/MAX offered and making hundreds of friends! After years of investing, selling and developing real estate, Edward began looking for fresh opportunities in emerging growth markets. 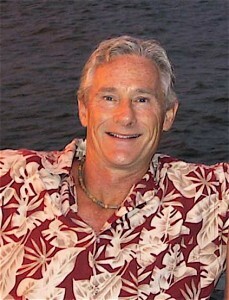 His research led him to Roatan on a dive/investment trip in 2000. He was impressed! Finally in 2003, his exhaustive investigations complete, he knew that Roatan was the right place to be. 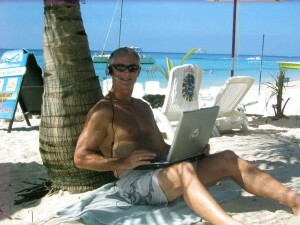 He sold all his holdings in Canada and became a property owner and resident in Roatan. Edward has had a great career here on the island. He has had the pleasure of working with islanders, foreigners and been selected to work with well known celebrities like Michael Douglas and Peter MacNeil. He has an ongoing working relationship with Lane Pettigrew, “The Caribbean Architect” currently expanding his exclusive resort on Guanaja – La Giralda, and designing the new capital for the island of Montserrat that was destroyed by a volcano. He also just finished filming an episode of House Hunters International for HGTV for Roatan that is currently airing. Edward looks forward to establishing new friendships with his clients coming to Roatan as he gets to share his years of knowledge and expertise in helping them find their piece of paradise too! “I would regard my relationship with Edward as being one of the best working partnerships of my career. Although we were ahead of our time in building a truly collaborative, regionalized sales program for Roatan, Ed had great information and insight into the market and the people involved. “I wish you were here to sell our home. I have no doubt that it would be a repeat of last time with your marketing skills. House listed, house sold for the most money anyone could even imagine…. Can’t say there is anyone else here that could come close to matching your skills and enthusiasm! You’re hard to compete with! “Our law firm provides legal services to Ed´s clients. It has been a challenging and rewarding experience. Ed and his partner Eileen are great to do business with. Ed is a great guy!” – César Gonzalez Ramirez, Roatan Lawyers, S.A.
“Edward’s response was quick, informative, personable and reliable. I would definitely use him again.” Top qualities: Great Results, Personable, High Integrity – Janalee Barnes, RE/MAX Colonial Pacific Realty, White Rock, B.C. “Edward has an excellent knowledge of not just Roatan but of the Caribbean in general. He wears the title “Island Ed” well with his relaxed style and friendly attitude – but just because he lives on a Caribbean island, he still gives excellent North American style service. We enjoyed Ed very much and hope to one day buy an Island home from him.” – Lisa Salt, Salt Team, RE/MAX Vernon, B.C.